Preheat Oven to 375. Unwrap the chocolates and have them ready. Sift together the flour, salt, and baking soda, set aside. Cream together the butter, sugar, peanut butter, and brown sugar until fluffy. Beat in the egg, vanilla, and milk. Add the flour mixture. Mix well. Shape into balls and place in ungreased mini muffin pan. Bake 6-8 minutes (I bake for 6). 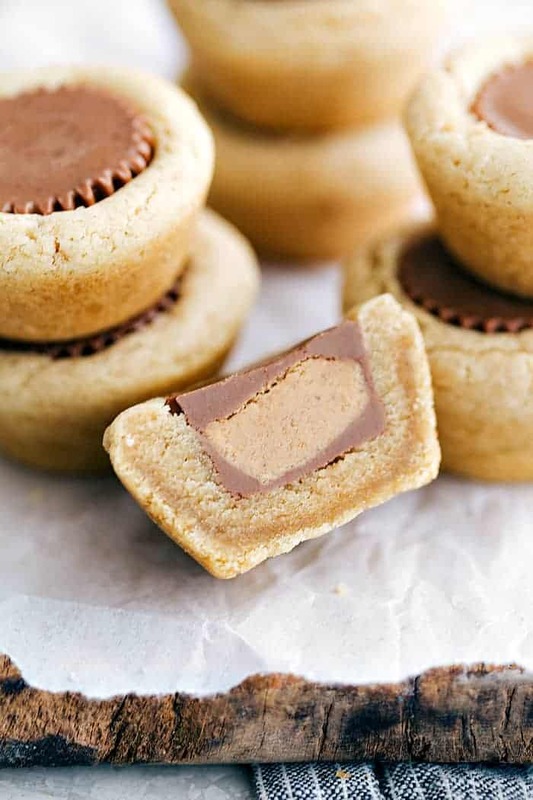 Remove from oven and immediately press a mini PB cup into each ball. Cool and carefully remove from pan.